Are you looking for a tasty experience when you are in Tennessee? If so, then you should really schedule a visit at The Smoky Mountain Winery in Gatlinburg. Located at 450 Cherry Street in Winery Square, this is the place to go for the best wine that Tennessee has to offer. Directions: From downtown Gatlinburg at traffic light number three, take 321 North (East Parkway). Winery is located 1/2 mile on right in Winery Square. Whether you are a big time wine connisseur or not, you are sure to enjoy a visit to this great winery. 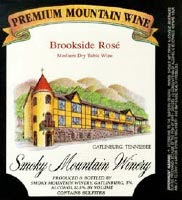 The Smoky Mountain Winery opened up back in 1981, and since then have received tons of awards for their tasty specialties on regional, national and even international levels. A visit to this winery is actually a great experience that can be fun for your entire family. When you plan to visit the Smoky Mountain Winery, be sure that you make time to visit their production area so that you can take advantage of the free tour that is offered to guests. After the tour, you are then invited to get yourself a free sampling of a decent number of the stellar wines that are offered in what is called the tasting room. The different types of wine that are offered through the Smoky Mountain Winery are simply wonderful. If you are into white wine, there are several tasty varieties for your enjoyment. Choose from Mountain White, Leconte White, and Brookside White to name a few. Others that grace the list of wines include Muscadine Red, Blackberry, Sangria, Peach Blush, Autumn Splendor and Mountain Mist. If you have any questions, or if you are looking to get information regarding some of the wines offered, you can call the winery Office at (865) 436-7505 or the Tasting Room at (865) 436-7551. Other Tennessee wineries to visit: Click Here.